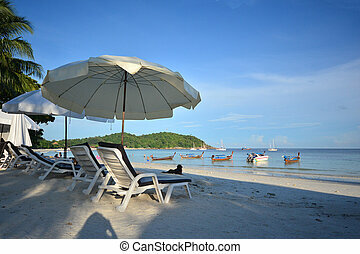 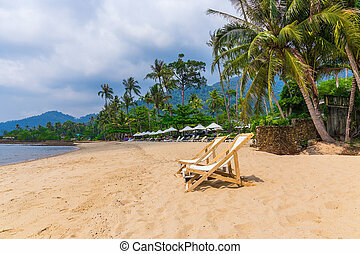 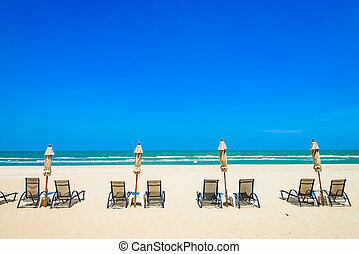 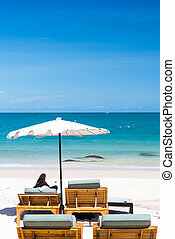 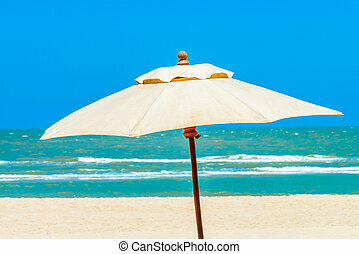 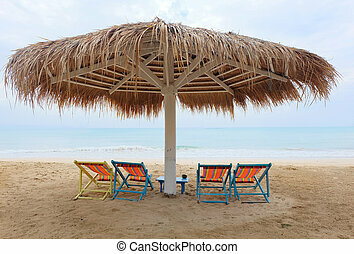 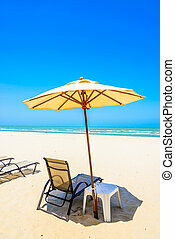 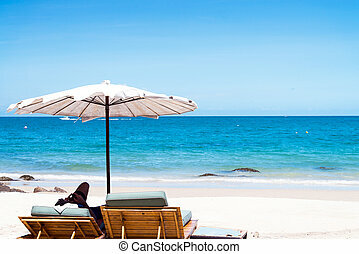 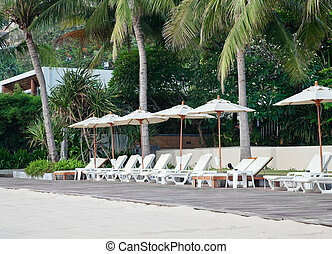 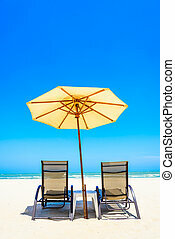 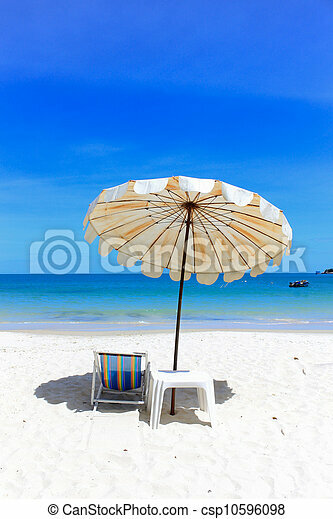 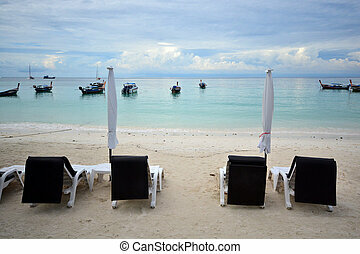 Beach chair and umbrella on idyllic tropical sand beach in holidays. 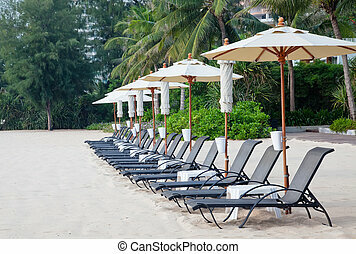 Beach chairs on idyllic tropical sand beach. 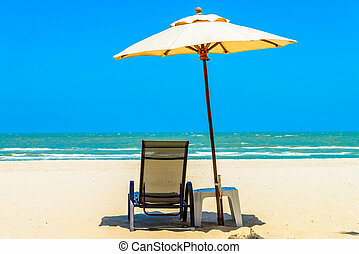 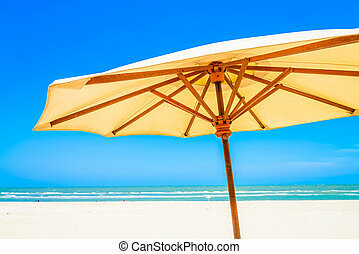 Beach chair and umbrella on sand beach.